With hardened and serrated knives too! The handle on the top of the unit should be up. If it is down, pull it up. 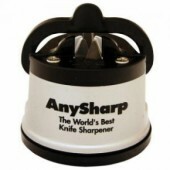 It is important to note that the writing on the front of the AnySharp should be facing away from you when using it. Place on the surface, and move the handle down. 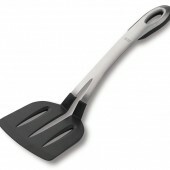 The suction PowerGrip will hold the AnySharp firmly in place. Just put your knife into the sharpening jaw, apply a light pressure, and pull the knife slowly towards you. Be sure to apply only light pressure and gentle strokes as you draw your knife through your AnySharp. 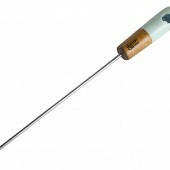 You are using the correct pressure if the action is smooth, and you get tiny metal filings coming off the knife. If you get no filings at all, or the motion is jerky or sticky, adjust the pressure to suit. The knife edge always faces away from you, and your hands are never near the cutting edge at any time. 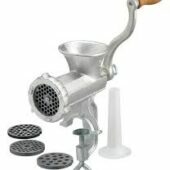 Cast Iron Mincer perfect for making home made mince meat. 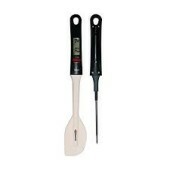 Ideal for creating tasty bolognese meatballs lasagne or burgers. Durable cast iron , clamps securely to a worktop with a plastic guard to protect surfaces. 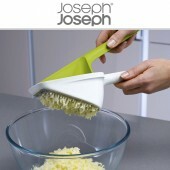 Chop2Pot Large Blue folding Chopping Board from Joseph Joseph. Use the Spiralizer to slice, shred and curl fruits and vegetables to make healthy alternatives to pasta (Spaghetti from Courgettes, Courgetti) and discover a whole new range of meals full of vitamins. 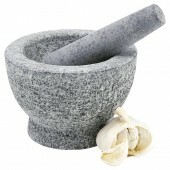 Ideal for a raw food, gluten-free, paleo or low-carb diet. 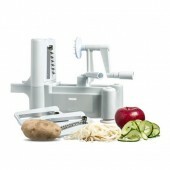 Easy to use: Step 1, place the spiralizer on smooth surface, Step 2, choose suitable blade (spare blades stored under spiralizer), Step 3, slide blade into place, Step 4, push food onto prongs, Step 5, use handle to push fruit or vegetable on to blade, Step 6, turn the crank handle clockwise for perfect healthy results. 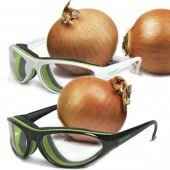 For tear free chopping, mincing, dicing and slicing of raw onions. 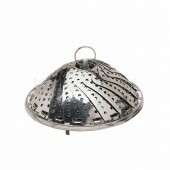 Strength, simplicity and safety inspired the design of the Professional Mandoline. 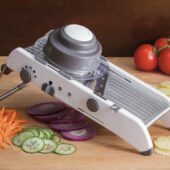 From delicious gratins to delicate julienned carrots, our Professional Mandoline is a necessity in the kitchen. 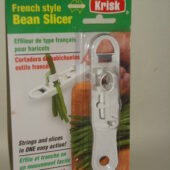 This best selling French style bean slicer strings and slices runner beans in one easy action. A sharp integral blade is used to top and tail the beans quickly and efficiently. 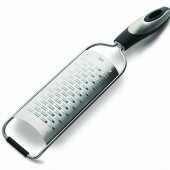 Sharp integral blade is used to top and tail the beans quickly and efficiently. 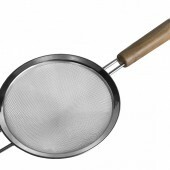 This stainless steel sieve from Jamie Oliver is an everyday kitchen essential. 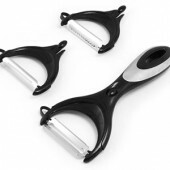 This handy peeler has 3 interchangeable blades, so you only need one peeler in your kitchen drawer. The straight vegetable blade is great for peeling hard fruit and vegetables, the soft-fruit blade easily peels the skins of tomatoes and kiwis and the julienne blade creates thin strips of vegetables, ideal for salads. 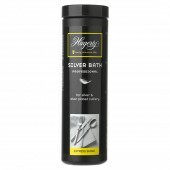 Alternatively the soft-fruit blade is ideal for peeling the skins of tomatoes and kiwis. 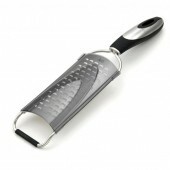 To swap the blades simply press the button on the peeler and remove the Y shaped blade. 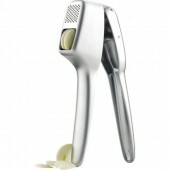 The 3 -in-1 Peeler is 30mm in height, 85mm in width and 185mm in length. Coarse graters with super sharp acid etched blades and a large grating surface for efficient grating. 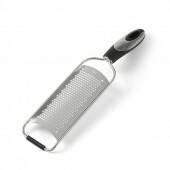 Fine Grater with super sharp acid etched blades and large grating surface for efficient grating. 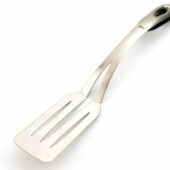 Beautiful brushed stainless steel with soft-touch handle insert;Useful serving tool for everyday use. 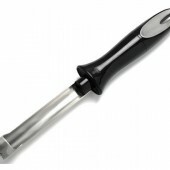 This Jamie Oliver brushed stainless steel turner with a black soft-touch handle is a useful serving tool for everyday use. 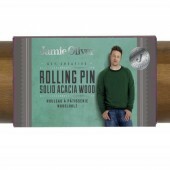 Made from solid acacia wood, this rolling pin has been specially designed to be the perfect size for rolling out pastry and pizza dough, with added length for perfect balance. 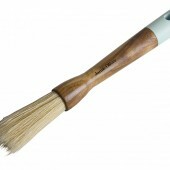 Use this Jamie Oliver pastry brush to apply classic egg washes and get gorgeous, golden results. 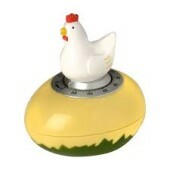 You can also use it for basting and applying sticky glazes and flavour-packed marinades. 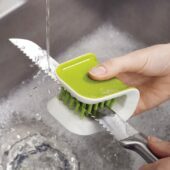 Clean your knives safely with this innovative washing-up brush. The wrap-around design lets you clean both sides of your cutlery at once while keeping your fingers away from sharp edges. 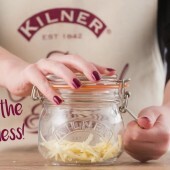 Grating your cheese has never been so easy with the Kilner® Grater Jar Set. Simply place the grater attachment onto the top of your Kilner® jar and grate your favourite cheese straight into the jar below. 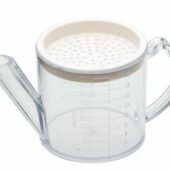 This new Kilner jelly straining kit has been specially designed to aid with straining pips and seeds when making clear jellies. 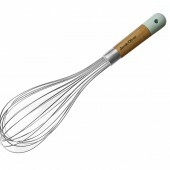 It can also be used for making cream cheese and homebrew. 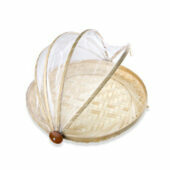 This neat and simple device works by sitting over a bowl and allowing the liquid mixture to strain through the nylon bag. 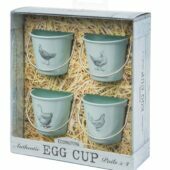 Easy to assemble and a space saving solution for storage. 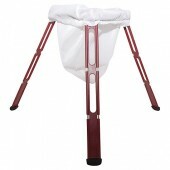 Contains a bag and stand.